3701301 125 JCB Fastrac 125 Tractor. Spare Parts Catalog. Service (workshop) Manual. Operator's Instruction Manual. 3701302 130T JCB Fastrac 130T Tractor. Spare Parts Catalog. Service (workshop) Manual. Operator's Instruction Manual. 3701303 135-65 JCB Fastrac 135-65 Tractor. Spare Parts Catalog. Service (workshop) Manual. Operator's Instruction Manual. 3701304 135T JCB Fastrac 135T Tractor. Spare Parts Catalog. Service (workshop) Manual. Operator's Instruction Manual. 3701305 145-65 JCB Fastrac 145-65 Tractor. Spare Parts Catalog. Service (workshop) Manual. Operator's Instruction Manual. 3701306 145T JCB Fastrac 145T Tractor. Spare Parts Catalog. Service (workshop) Manual. Operator's Instruction Manual. 3701307 150-65 JCB Fastrac 150-65 Tractor. Spare Parts Catalog. Service (workshop) Manual. Operator's Instruction Manual. 3701308 150T JCB Fastrac 150T Tractor. Spare Parts Catalog. Service (workshop) Manual. Operator's Instruction Manual. 3701309 155-65 JCB Fastrac 155-65 Tractor. Spare Parts Catalog. Service (workshop) Manual. Operator's Instruction Manual. 3701310 155T JCB Fastrac 155T Tractor. Spare Parts Catalog. Service (workshop) Manual. Operator's Instruction Manual. 3701311 185-65 JCB Fastrac 185-65 Tractor. Spare Parts Catalog. Service (workshop) Manual. Operator's Instruction Manual. 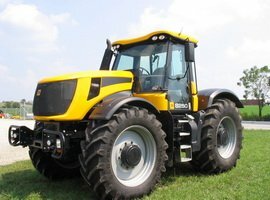 3701312 185Ti JCB Fastrac 185Ti Tractor. Spare Parts Catalog. Service (workshop) Manual. Operator's Instruction Manual. 3701313 1115 JCB Fastrac 1115 Tractor. Spare Parts Catalog. Service (workshop) Manual. Operator's Instruction Manual. 3701314 1125 JCB Fastrac 1125 Tractor. Spare Parts Catalog. Service (workshop) Manual. Operator's Instruction Manual. 3701315 1135 JCB Fastrac 1135 Tractor. Spare Parts Catalog. Service (workshop) Manual. Operator's Instruction Manual. 3701316 2115 JCB Fastrac 2115 Tractor. Spare Parts Catalog. Service (workshop) Manual. Operator's Instruction Manual. 3701317 2125 JCB Fastrac 2125 Tractor. Spare Parts Catalog. Service (workshop) Manual. Operator's Instruction Manual. 3701318 2135 JCB Fastrac 2135 Tractor. Spare Parts Catalog. Service (workshop) Manual. Operator's Instruction Manual. 3701319 2140 JCB Fastrac 2140 Tractor. Spare Parts Catalog. Service (workshop) Manual. Operator's Instruction Manual. 3701320 2150 JCB Fastrac 2150 Tractor. Spare Parts Catalog. Service (workshop) Manual. Operator's Instruction Manual. 3701321 2155 JCB Fastrac 2155 Tractor. Spare Parts Catalog. Service (workshop) Manual. Operator's Instruction Manual. 3701322 2170 JCB Fastrac 2170 Tractor. Spare Parts Catalog. Service (workshop) Manual. Operator's Instruction Manual. 3701323 3155 JCB Fastrac 3155 Tractor. Spare Parts Catalog. Service (workshop) Manual. Operator's Instruction Manual. 3701324 3170 JCB Fastrac 3170 Tractor. Spare Parts Catalog. Service (workshop) Manual. Operator's Instruction Manual. 3701325 3170 Plus JCB Fastrac 3170 Plus Tractor. Spare Parts Catalog. Service (workshop) Manual. Operator's Instruction Manual. 3701326 3185 JCB Fastrac 3185 Tractor. Spare Parts Catalog. Service (workshop) Manual. Operator's Instruction Manual. 3701327 3190 JCB Fastrac 3190 Tractor. Spare Parts Catalog. Service (workshop) Manual. Operator's Instruction Manual. 3701328 3190 Plus JCB Fastrac 3190 Plus Tractor. Spare Parts Catalog. Service (workshop) Manual. Operator's Instruction Manual. 3701329 3220 JCB Fastrac 3220 Tractor. Spare Parts Catalog. Service (workshop) Manual. Operator's Instruction Manual. 3701330 3220 Plus JCB Fastrac 3220 Plus Tractor. Spare Parts Catalog. Service (workshop) Manual. Operator's Instruction Manual. 3701331 3230 JCB Fastrac 3230 Tractor. Spare Parts Catalog. Service (workshop) Manual. Operator's Instruction Manual. 3701332 7170 JCB Fastrac 7170 Tractor. Spare Parts Catalog. Service (workshop) Manual. Operator's Instruction Manual. 3701333 7200 JCB Fastrac 7200 Tractor. Spare Parts Catalog. Service (workshop) Manual. Operator's Instruction Manual. 3701334 7230 JCB Fastrac 7230 Tractor. Spare Parts Catalog. Service (workshop) Manual. Operator's Instruction Manual. 3701335 7270 JCB Fastrac 7270 Tractor. Spare Parts Catalog. Service (workshop) Manual. Operator's Instruction Manual. 3701336 7300 JCB Fastrac 7300 Tractor. Spare Parts Catalog. Service (workshop) Manual. Operator's Instruction Manual. 3701337 8250 JCB Fastrac 8250 Tractor. Spare Parts Catalog. Service (workshop) Manual. Operator's Instruction Manual. 3701338 8250 Tier 3 JCB Fastrac 8250 Tier 3 Tractor. Spare Parts Catalog. Service (workshop) Manual. Operator's Instruction Manual. 3701339 8280 JCB Fastrac 8280 Tractor. Spare Parts Catalog. Service (workshop) Manual. Operator's Instruction Manual. 3701340 8310 JCB Fastrac 8310 Tractor. Spare Parts Catalog. Service (workshop) Manual. Operator's Instruction Manual.